Orthodontic treatment involves the straightening of misaligned teeth, often through the use of dental appliances such as braces or retainers. For many years, metal braces were the only option available to patients who wanted to straighten their teeth. However, a new technology called Invisalign aligners gives patients options which have never before been available. The Invisalign system is very different from traditional metal braces. Instead of using a series of metal wires and clamps, Invisalign uses clear plastic trays which are custom-fitted to the patient’s mouth. As the series of trays progressively changes, the teeth are gradually pushed into proper alignment. Invisalign aligners are formed from a mold made of your teeth on your first visit. Every Invisalign set is custom-crafted to fit only your mouth. The first set of plastic trays hugs your teeth very closely in their present alignment; however, subsequent trays, which are changed about every two weeks, gradually change the tooth configuration. This gradual changing of the alignment of your teeth actually provides faster results, in many cases, than metal braces. 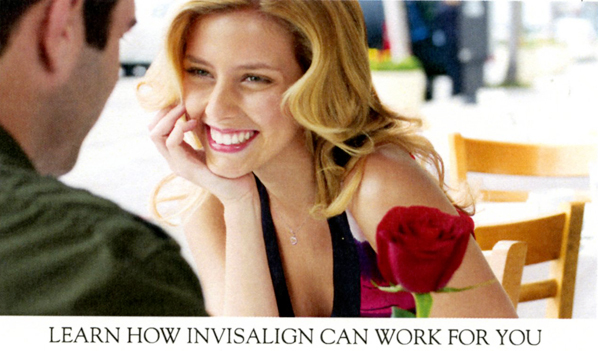 One of the biggest advantages of Invisalign is that the trays are clear and virtually invisible in your mouth. This promotes usage by patients who were sometimes not compliant with wearing metal braces. Young people in particular love the fact that Invisalign is invisible, and are much more likely to enjoy the course of orthodontic treatment than if they are forced to wear visible metal braces. Another advantage of Invisalign is that it can be removed at will, so eating and brushing the teeth is never a problem. If you are looking for a qualified West Hollywood Invisalign provider, Dr. Ghasri has successfully completed numerous cases and has been recognized by Invisalign as a “Preferred Provider” base on her expertise. Dr. Ghasri will be happy to discuss the benefits of Invisalign and other orthodontic procedures with you. Dr. Ghasri, our cosmetic dentist in West Hollywood, is ready to see you and help you find the best way to get the straight, beautiful smile you have always wanted. 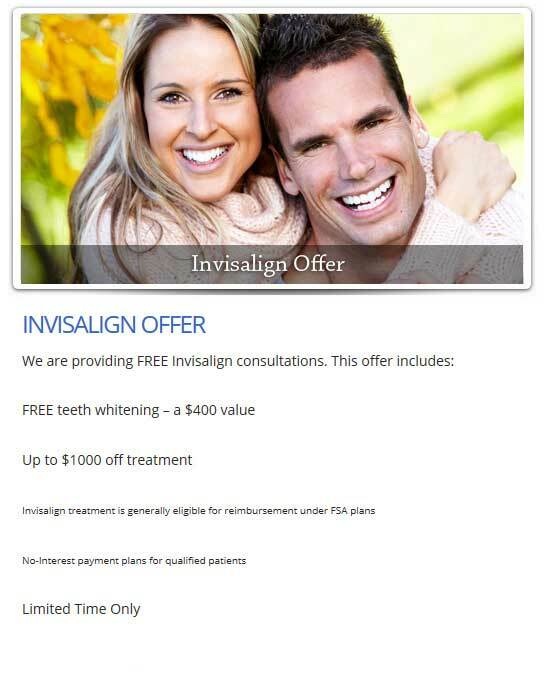 Talk to Dr. Ghasri today about Invisalign and other available orthodontic treatments. When patients find themselves with crooked teeth or major gaps, they often wonder what permanent options may be available to them to restore their smile. Here at Sunset Plaza Dental, we offer one of the most advanced straightening systems to date, Invisalign aligners, but we also believe patients should remain informed on traditional metal braces as well. These two treatments will accomplish the same goals, but here is some information on the benefits of each in order to make an informed decision on which may be best for you or your loved ones. Traditional metal braces are very effective at straightening teeth, no matter their condition. This process is carried out by attaching wires to the teeth and then tightening them at regular intervals. Over the course of a few months or years, patients will see their smile transform as their teeth re-align. 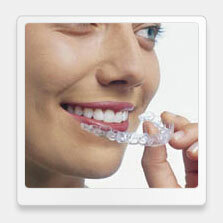 Invisalign aligners are a much more modern approach to straightening teeth. Our dentist will take exact measurements of the mouth and then send them off to a specialty manufacturer. Patients will be given nearly invisible trays that can be replaced every two weeks. These trays can be taken in and out of the mouth to brush, floss, eat, or drink. While Invisalign aligners are exceedingly effective and a great option for those that would like to transform their smile without the use of metal braces, they may not be right for patients that have teeth which are torqued or severely misaligned. 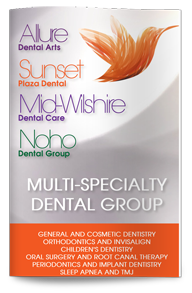 If you or your family is looking for a straighter smile, contact Sunset Plaza Dental today. We are proud to offer Invisalign to our patients to give them a permanently beautiful smile.